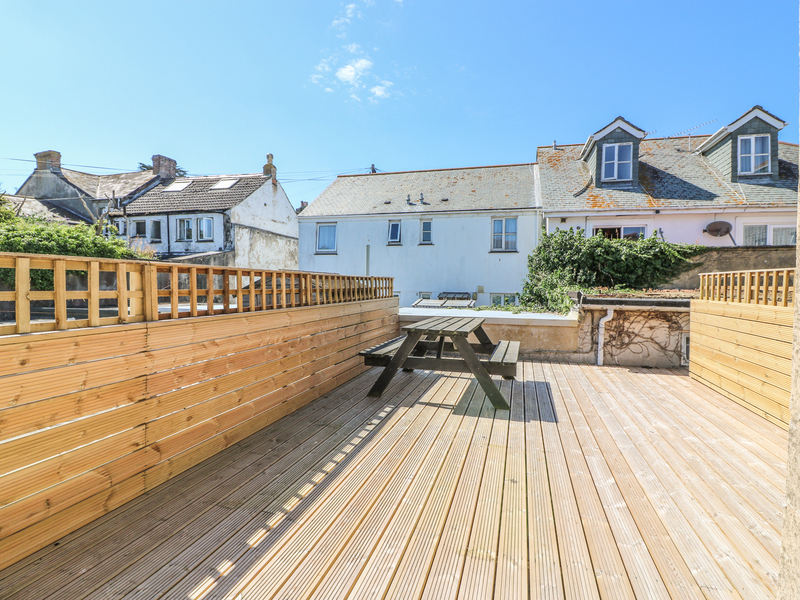 Flat 1 is all on the first floor and sits within the Cornish town of Penzance. It hosts one bedroom with a super king size double as well as a shower room, it is able to sleep two people. Its interior also includes an open-plan living area containing a kitchen, a dining area and a sitting are. To the outside, there is parking and a decking with furniture. Flat 1 boasts tasteful accommodation, a perfectly homely base for couples looking to explore the wonders of Cornwall. Electric heating, electric fire. Electric oven and hob, microwave, fridge, freezer, washer/dryer, TV, WiFi. Fuel and power inc. in rent. Bed linen and towels inc. in rent. Decking with furniture. Offroad parking behind the shop, first come first served basis. Sorry, no pets, no smoking. Shop 1 minute walk, pub 3 minute walk. 100 yards from train station and bus station. 5 minutes walk to Isles of Silly ferry Co. 100 yards from coastal path walk to Marizion and St Michael's Mount. Note: Stairs up to the flat lead from a foyer, which also is the entrance to the owners 2 shops.